Role: Volunteers work on achieving the goals set out in the Care Management Plan, including improving literacy levels and English skills, providing emotional support, and helping improve general hygiene. A lack of adequate infrastructure and high unemployment rates are some of the biggest challenges that Nepal faces today. Sustainable development is vital for uplifting Nepalese communities, especially for children and young adults, which is why your help is needed. 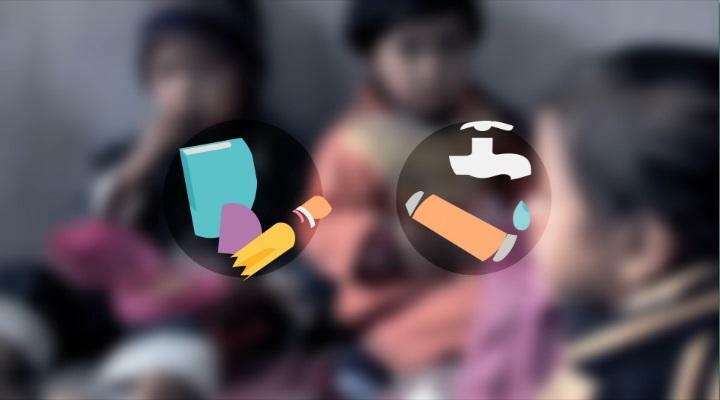 As a Projects Abroad volunteer on a Care Project in Nepal, you will work to ensure that children receive the best care and education possible. By giving them this kind of educational and emotional support, you will give them the tools to build a better future for themselves. Our Care Projects are based in Kathmandu and Chitwan. We have a variety of different placements available and you can choose to volunteer in a day care centre, early learning class at a school (with pre-school or kindergarten-aged children), or a special needs centre. You might also be interested in volunteering at a specialist care centre, where you can work with children affected by malnutrition and HIV/AIDS. These placements often suffer from a lack of resources, so your experience as a volunteer will be a challenging one. Some of the children are malnourished or come from difficult backgrounds. However, these children are the ones most in need of assistance. Your support and friendship will be essential to helping them grow and develop into well-adjusted adults. You do not need qualifications or previous experience to volunteer at a Care Project in Nepal and you can participate as part of a vacation, summer break, gap year, or career break. Projects Abroad believes that each volunteer has something to contribute to the communities we work in, and you will make a difference not only to the lives of the children but also the many other people you will meet along the way. If you have an interest in health care, you can also help with child care work at the Nutritional Rehabilitation Centre. The centre was set up to provide a stable and nurturing environment for impoverished children suffering from varying degrees of malnutrition. If you would like to get involved at this placement, let us know when you apply. In Nepal, you have the option to volunteer at community-based rehabilitation centres for children who have physical and mental disabilities. The children and staff will appreciate the interaction and support that you will provide on a day-to-day basis. You will find yourself working with children who have been neglected, and by giving them your support, you can work toward raising their self-esteem. You might find that some of the children with disabilities are cared for in a way that they would not be in your home country. It is important to remember you are working in another culture, and your presence alone is beneficial for these children. At whichever placement you find yourself, you need to be prepared for a challenge. Many of the children and adolescents will have health or behavioural problems, or may require extra attention due to mental or physical disabilities. It is important to remember, however, that the children will benefit enormously from your presence and support. By contributing to the goals set out in our Care Management Plan, your impact will be significant and long-lasting. In order to support our Care volunteers, our Care Coordinator in Nepal organizes regular workshops for our volunteers. The workshops provide you with tools and tips on how to better organize your work at your placement, depending on the age and abilities of children with whom you are working. These workshops are a great way for you to discuss and solve any issues you may be having with the coordinator and other volunteers. The Care Coordinator will also teach or suggest new activities and ideas you can use to make more of an impact at your placement. 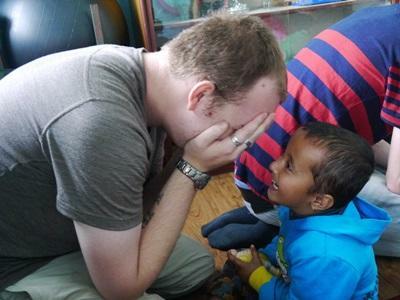 Volunteering on a Care Project in Nepal is a chance to make a significant difference to these children’s lives, not merely through the development of their social and life-skills, but also through exposing them to new ideas and cultures. Your assistance will also support the dedicated (but over-worked) staff who will always appreciate having you there to help. The Care Project in Nepal is available from one week if you do not have time to join us for four weeks or more. This project has been selected by our local colleagues as being suitable for shorter durations for both the host community and the volunteer. Although you will gain valuable cultural insight and work intensely within the local community please be aware that you may not be able to make the same impact as someone participating for a longer period. Projects Abroad also has an HIV/AIDS Care Project in Nepal for volunteers interested in supporting those affected by the illness. If you are a high school student and first-time traveler you may want to consider our High School Special programs in Nepal. If you are aged 50 and above, we recommend taking a look at our Grown-up Special program in Nepal.